AHCS Home Care Professionals are bonded and insured employees who have worked extensively in hospitals, skilled nursing facilities and other institutions before joining our team. Comprehensive national background check by a licensed private investigation firm. DMV check to ensure the candidate has a valid Arizona driver's license, clean driving record and current personal vehicle insurance coverage. Valid Arizona fingerprint clearance card and documentation verifying negative TB results. Credentials check to confirm candidates are legal, licensed, certified and experienced home care professionals with current CPR and First Aid certification. We Repeat These Security Checks Annually. In addition to our background check, each home care professional that we hire also has reference verification and proof of at least six months of experience caring for seniors. "For over 25 years Linda L. Esrick saw the frustration so many families experience when attempting to care for loved ones at home. As a registered nurse for 25 years, Linda recognized the tremendous need for standardized, professional home care at affordable prices. As years went by, Linda noticed that more and more elderly people were becoming disenchanted with the idea of nursing homes and assisted living facilities. On behalf of many of her clients, Linda began to look into the available professional home care services. She found scores of families frustrated with their home care options. 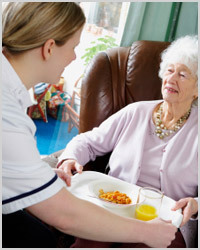 Additionally, she was bombarded by concerns from the elderly with their current care situation. The professional home care industry appeared to be almost devoid of any companies that could offer competent, dependable, professional customer service. Linda's research quickly turned into business plans and brain-storming sessions with her husband Larry, a successful business owner and high-level corporate marketing expert. Linda and Larry agreed that the professional home care industry needed a company that took itself more seriously. By elevating the infrastructure of their business model Linda and Larry believed they could realize a vision that was bigger than merely a profitable business venture; it was a vision in which families could keep loved ones home and receive the help they truly need, from a company they could trust, at prices they could afford. From their visions, Affordable Home Care Solutions was born. They have now proudly been serving the Phoenix valley since 1998, providing the security, experience, and reliability you can trust. Linda Esrick takes a "Skilled Approach to Non-Medical Home Care"
Affordable Home Care Solutions has been helping Arizona's senior residents since 1998. Linda L. Esrick RN, BSN Owner and CEO has personally worked with thousands of seniors, seriously ill adults and children in some of the finest hospitals and skilled nursing facilities in our nation. In 1998, Linda took her passion into her owns hands and founded Affordable Home Care Solutions, where to this day she still works full time. Linda visits each and every client, on a regular basis and designs a plan of care specifically designed for the individual. We are proud of the company we have built and the standards we have set for integrity and professionalism. We are proud members of the NPDA, BBB, AZ Non Medical Home Care Association, and many other organizations. Since 1998 AHCS has earned recognition for our commitment to the highest standards of business ethics and professional service. Our state-of-the-art automated staff monitoring system requires employees to clock in and out from our clients' homes. We are also leading advocates for the establishment of home care licensing and regulatory standards.